Just for clarity: Most Skulled and Most Followers prizes will go to teams who did not win the Grand or Top prizes. We reserve the right to add more prizes and options to these lists during the contest. 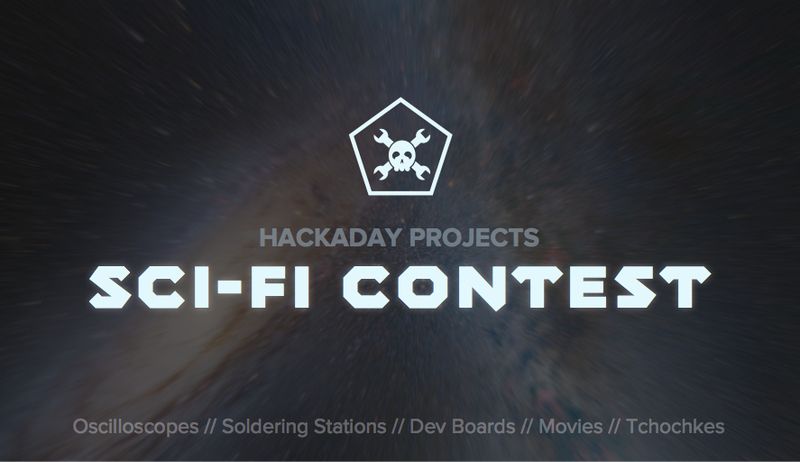 Your entry must be documented as a project on Hackaday Projects. Sign up for ​a free account. Finished entries must have the “sci-fi-contest-complete” tag added to them before the deadline (12:00:00am Pacific Time on 4/29/14) to qualify. The build doesn’t have to be consumer-ready, but the write-up needs to tell the entire tale of your team’s work. Need some examples to get rolling on this one? But of course some of the most hack-tastic offerings are the huge volume of sonic screwdriver builds we’ve seen over the years. When entering the instructions part, the steps get scrambled. What is shown when see all is selected is not what shows when edit is selected. I had the same problem. It was a particular piece of code that seems to mess it up. For me, it looks like there is some code that is executed. Code injection ? When you sort the entries with a tag by most skulled, my project won't show, but when you sort them by newest it will. And yes, i looked through all three pages ;) in my first attempt i misspelled the tag and had to correct it, so maybe this is the reason? The comments count isn't right either, I only have 3 comments but in the entry list it shows 4 comments. Good because I may have added a whole extra level on top of this one. May make that an entirely new project though, building on what i have learned. I think the point is for your write-up to be complete. Obviously there's always one more killer feature to add to your hardware hack. But laying out the idea, the build, and the current results are the items that make an entry complete. Is it possible to include pictures in log entries? @Ossum: Yes, pictures can be added to log entries, instruction steps, and the main build details. You can drag and drop images. You can also click on a blank line to pull up the context editor, and click the picture icon. A friend of mine helped me build my Tesseract case http://hackaday.com/2014/03/12/prop-replica-tesseract-case-has-some-serious-tech-inside/ but doesn't have an account. I wasn't sure if I could enter the contest since I'd be "alone". The project page is here: http://hac.io/project/533-Tesseract-Case I'm adding as many details as I can. If I can't enter the contest, no big deal. I was excited to be on HaD at all. how many entries per group? You may make as many entries as you wish. The only caveat is that we're the ones that decide if they are "complete" entries or not. So don't skimp on the details!